There’s a new director in town and she’s a hometown woman. The Foster Grandparents program in Charles City — representing four counties in northern Iowa — has known no other director the past 20 years than longtime leader Mary Litterer. Litterer officially retires on July 20, but she’s already given that leadership role over to Sarah Merrifield, a 2004 Charles City High School graduate. Merrifield’s first day as director of Foster Grandparents was June 18. Even though Merrifield is new to the job, she knows she’s in capable hands. Litterer is currently on vacation and her last days working with Foster Grandparents will be next week. Litterer has shown Merrifield the ropes during her first two weeks on the job, then she’s on her own. “I’ll get one more week to work with her before she kind of sets me loose,” said Merrifield. Merrifield said everyone at Foster Grandparents has been very welcoming and accepting. She says she plans on keeping the program pretty similar to how it functions now. A large part of Merrifield’s first year will be meeting new people and hearing their stories. Merrifield graduated with a master’s degree in Family Consumer Sciences from Iowa State University. Her previous job was at the Iowa State University Extension Office in New Hampton, where she worked for three years. She was office manager at that branch in Chickasaw County. 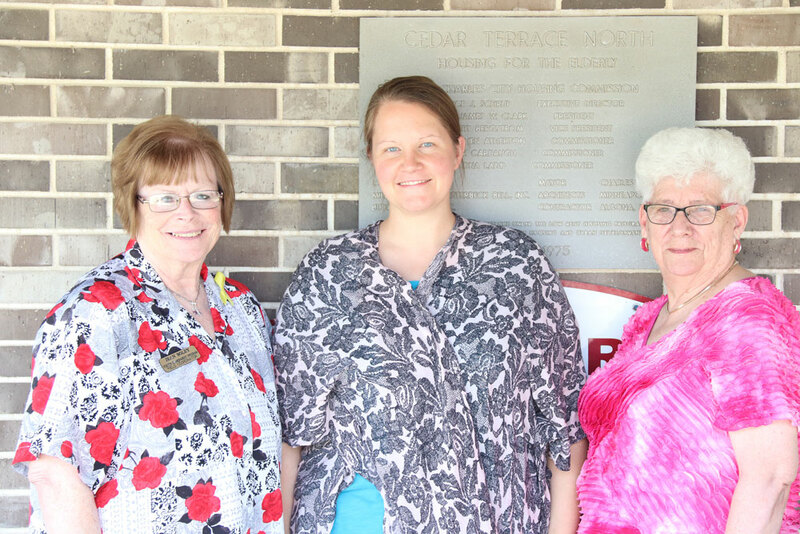 Merrifield also worked for five years in Bremer County, working with the 4H program, as the Youth and Family Program coordinator for the Iowa State Extension Office located in Tripoli. Merrifield, who grew up on a family farm here in Charles City, said she is happy to be back working with a program that has had such a lasting impact on old and young alike. “I liked being in Charles City and that was a big draw to me, plus the factor of those two generations coming together,” said Merrifield. Foster Grandparents volunteer their time to help youngsters onsite who might be struggling in areas like spelling, reading or improving social skills. There are 22 sites that Merrifield will oversee that span the counties of Floyd, Chickasaw, Cerro Gordo and Mitchell. Volunteers, or “floats” as they are called, must devote at least 15 hours a week, but no more than 40. Right now Merrifield has around 50 to 60 Foster Grandparents. Her goal is to get 13 more on board. She plans on getting the word out at senior centers and churches or any group that is willing to listen to what she has to say. Merrifield posed this question to anyone who might be interested in putting on the traditional red coat of the Foster Grandparents and helping youths in need. 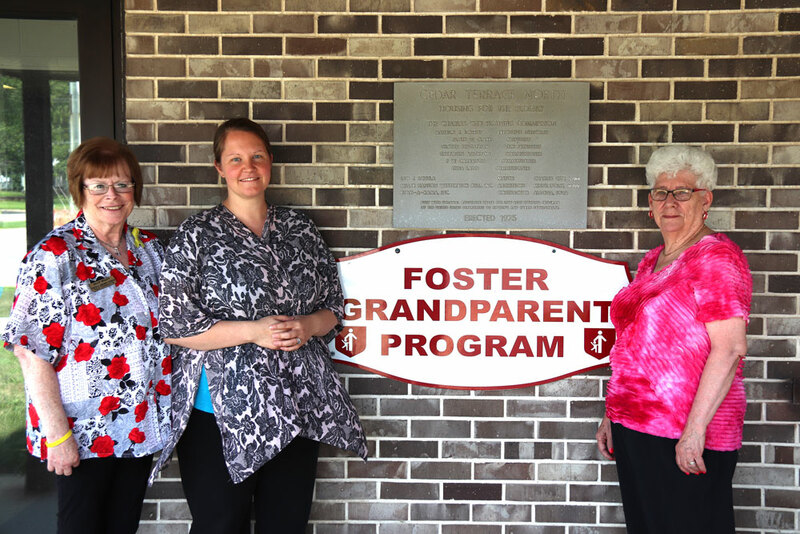 The Foster Grandparents program has been in existence in northern Iowa for almost 46 years. Charles City has sponsored the area program for the last 27 years.